Helena Chemical Company has introduced four new innovative products to their 2018 lineup, providing agronomic solutions through a customized program called The Helena Acre. The new product lineup includes Ele-Max® Sulfur LC, Sultrus™, N-Fixx® XLR and Antares® Prime. The Helena Acre provides a trusted partnership with growers to create a customized solution to weed control, sulfur deficiencies, nitrogen loss and insect protection. It is a comprehensive program utilizing agronomic research and field intelligence to develop a total production system for growers. Helena Chemical Company has introduced four new innovative products to their 2018 lineup, providing agronomic solutions through a customized program called The Helena Acre. Helena's new products are uniquely designed to target specific yield-limiting agronomic problems, bringing growers greater returns on their investments. The new product lineup includes Ele-Max® Sulfur LC, Sultrus™, N-Fixx® XLR and Antares® Prime. The Helena Acre provides a trusted partnership with growers to create a customized solution to weed control, sulfur deficiencies, nitrogen loss and insect protection. The Helena Acre is a comprehensive program utilizing agronomic research and field intelligence to develop a total production system for growers. With access to top seed genetics, more than 20 years of precision ag experience and unique Helena products, Helena's new innovative product lineup will help solve growers' problems in the field. Ele-Max Sulfur LC manages in-season sulfur deficiencies with an exclusive crop-safe foliar blend, utilizing ENC® Formulation Technology to provide balanced nutrition and faster plant uptake. Powerful combination. Sultrus is a foliar insecticide with a broad crop range, offering protection from more than 215 insects on over 240 crops. An umbrella of protection. N-Fixx XLR controls nitrogen loss at lower application rates and corrects common urea and UAN application problems with patented FLOWTECH™ Formulation Technology. Excellent stability. Minimal input. Antares Prime, a pre-emergent herbicide, provides long residual control in soybeans with a unique ratio of active ingredients to control the most troublesome weeds. Its liquid formulation provides long, residual control with a clean, early start. New direction in weed control. Helena's integrated innovations offer unique partnerships delivering customers a performance edge built on quality and convenience. By providing access to the best products in the industry and combining them with our own unique technologies, our integrated innovation platform delivers cutting-edge services to growers. Helena's expertise in formulation, manufacturing and distribution will provide advanced recommendations that result in top yields. Founded in 1957, Helena Chemical Company has grown to be one of the nation's foremost agricultural and specialty formulators and distributors in the United States. 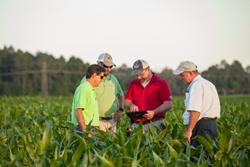 Products and services offered include crop protection products, fertilizer and fertilizer application services, specialized nutrients, seed and seed treatments, financial services and precision ag services and software. Helena also offers its own line of products - adjuvants, bioscience, branded fertilizers, nutritionals, seed treatments and value-added products - through the Helena Products Group. Follow us on Twitter and Facebook.